Nowadays we all expect to get information FAST, especially when it comes to online searches. And we get frustrated quickly when the website's design is not friendly enough and it's difficult to find what we are after. Usually, annoyed we simply go somewhere else to get better experience and be served faster. That's a reality, and as a website owner you need to remember that usability is the most important factor! I am sure that you came across websites with an entry page, where you are asked to click on a logo or other graphics to get to the main page, or websites with music played in the background and PDF menu. Those practices are definitely not user friendly. Website visitor needs to make unnecessary clicks to find information. What is more, PDFs take time to download and end up taking space in customer downloads folder. That's not what we would call a great online experience! In Ordys we believe that your menu is the key info for your customers. We provide simple websites where your menu panel is placed on every page and is easy to find. And you can even send your customers straight there when they enter your site - in Ordys admin panel choose 'Menu' page to be shown as first (landing page). 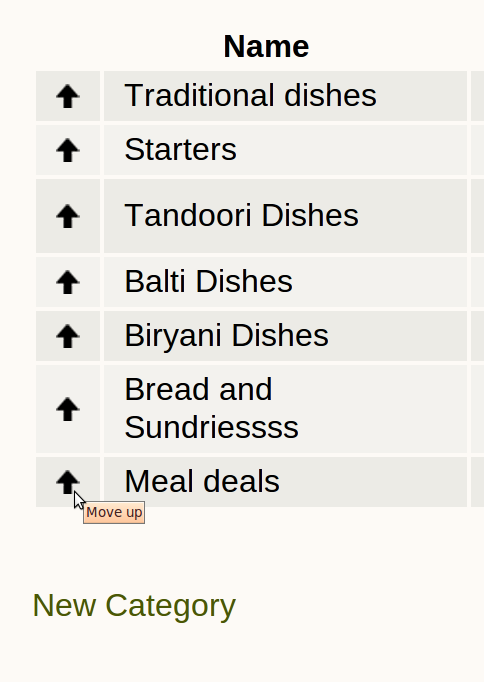 You might want to send visitors to the most profitable category on your menu. For some of our clients Meal Deals are the most popular positions, so for them it is desirable to send clients straight to that section. 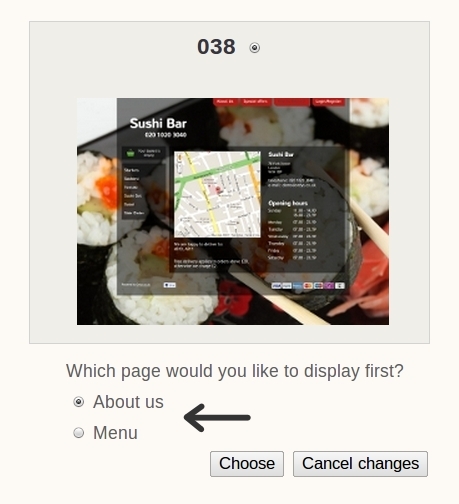 Choose menu as a landing page for your website and make sure that the particular category is first on your menu list. 1. In Ordys admin panel, website layout section, decide if you want your clients to see your 'Menu' or 'About us' page as a first page when they enter your website. 2. 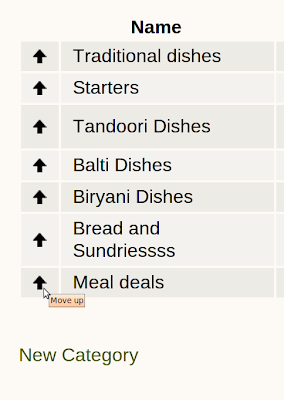 In admin panel, Menu section, change order of your categories/dishes. Simply, just click on the arrow sign to move them up.